The new stainless steel tiara with rubberized coating and precise adjustment, combined with the refurbished side support with exclusive damping technology, developed with double-injection technology of polymers of different strengths, bring maximum comfort and stability. Stainless steel joints, ultra high-flexibility Kevlar®-reinforced cable, state-of-the-art ultralight engineering polymer and Quick Disconnect connector with gold-plated terminals ensure superior durability and high performance. Turn your headset into na innovative IoT device. 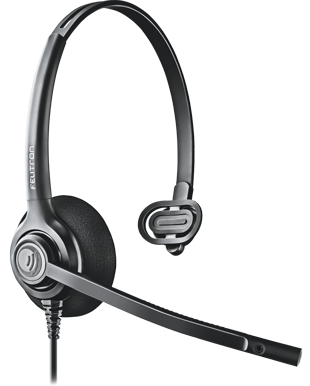 Felitron headsets are present in the largest call centers, companies in the most diversified areas and offices in Brazil and in the other 15 countries where we export our products. No matter how hard we try to describe what makes a Felitron product different, we invite you to join thousands of users and experience a new experience in professional communication. 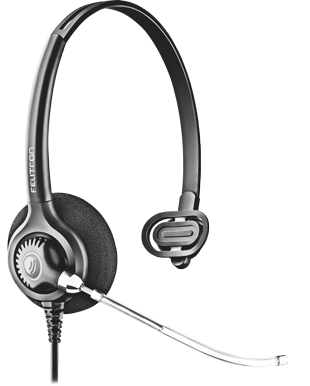 The 55mm diameter remodeled headset, coupled with a broadband speaker, delivers high-definition audio and a new professional communication experience. Exclusive access to authorized partners.